i watch dozens of youtube videos every week. i’ve saved all of my favorite workout videos into playlists, i’ll have makeup tutorials playing in the background while i get ready for work in the morning, or i’ll watch a video or two while i get ready for bed. here are a few of my favorites from this past week. this video started circulating around after Mac passed away. although i enjoyed the full set, “2009” (starts at the 10:50 mark) is my favorite. it’s beautiful and heartbreaking. i could watch Katie apply makeup all. day. long. i love that she puts emphasis on skincare prep—even when she’s applying makeup—she wants skin to look like skin. this natural and glowy look she did on Estée is gorgeous, gorgeous, gorgeous. the PopSugar Fitness channel is my go-to for workout videos. i’ve saved all of the videos where Jake hosts the class. he’s super entertaining as an instructor and he makes you work hard. 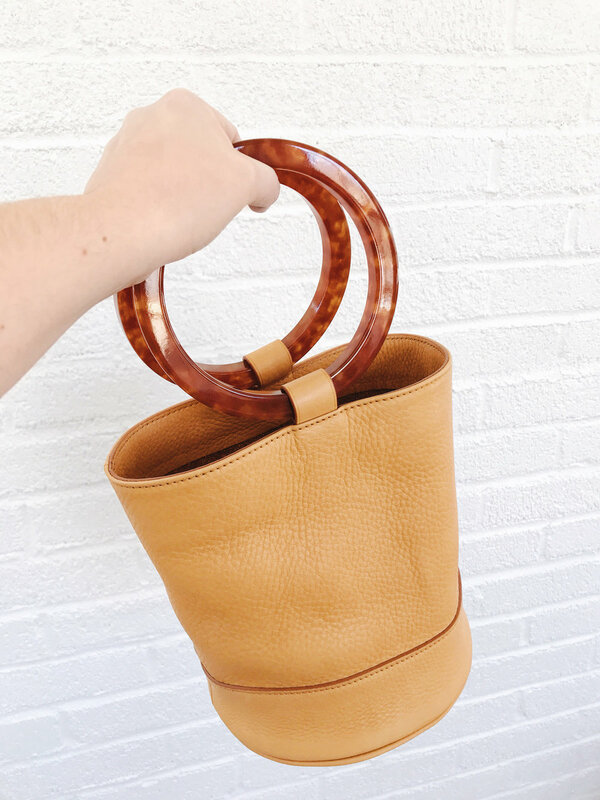 i'm very impatiently waiting for warm weather to arrive so i can take my simon miller bag (pictured above!!!) for a spin. so technically, i'm not wearing it yet... but it will be glued to my arm this spring/summer. fyi there's a great dupe for this bag at urban outfitters right now. victoria's origin series (part 1 + part 2) has captured my full attention. taylor swift's playlist of songs she loves on spotify. i've been listening to it on repeat for the past month. as someone with both a fair complexion and round cherub-like face, bronzer has become a staple in my makeup bag. i've been loving becca's sunlit bronzer in capri coast. there's a slight shimmer to the powder but it doesn't show up on the face, you just G L O W.
gary janetti's instagram account. this post in particular speaks to me on a spiritual level.